The Neanderthal theory of autism relates to the five pervasive developmental disorders as well as Tourette syndrome and Attention Deficit-Hyperactivity Disorder (ADHD). The theory is controversial and fascinating, with a unique perspective of autism as a fully functional condition rather than a disorder. The theory suggests that people with certain conditions including those on the autism spectrum do not possess the genetic material necessary for typical adaptations. The suggestion points to a possible interbreeding between Neanderthals and Homo sapiens, leading to genetic diversity that may manifest today as autistic disorders. The theory focuses on interbreeding between Neanderthals and Caucasians. Leif Ekblad developed the theory and he is the creator of the Aspie Quiz. The quiz is an important aspect of the theory as it is used to collect some data that supports Ekblad's ideas. Visitors who take the test add to the statistical database. The stats may be published or used for research. Neanderthals were a human species, Homo neanderthalensis sometimes referred to as a subspecies of Homo sapiens, Homo sapiens neanderthalensis. 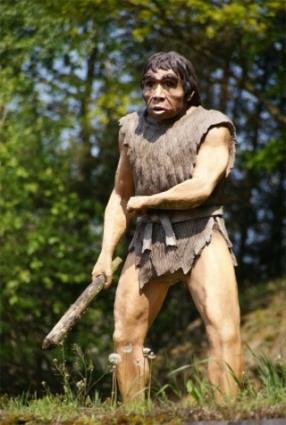 Some consider the Neanderthals to be a separate species while others believe that they are direct ancestors of humans. The term derives from the Neander Valley in Germany, where the remains of the first of this species was discovered in 1956. Neanderthals became extinct roughly 30,000 years ago, but some assert that they may have some genetic ghosts in modern man. These genetic influences may manifest as autistic traits, according to the Neanderthal theory of autism. The theory is fascinating but can it be verified? The theory postulates interesting approaches to research the topic. The first step in proving or disproving the theory may be to determine whether humans and Neanderthals interbreed or not when their time on Earth overlapped. Did the two species interbreed? Some believe that genomes from the extinct species may be present in some people today. A bone study explored by National Geographic.com in 2006 suggests that humans and Neanderthals did interbreed. This study suggests that the species may have been absorbed or gradually replaced by humans. Humans may have killed them off as well. Some believe that they did while others assert that interbreeding was unlikely. DNA research suggests that there was little or no interbreeding between humans and Neanderthals. The article about this study notes that bones from previous studies were contaminated with human DNA as researchers handled them.